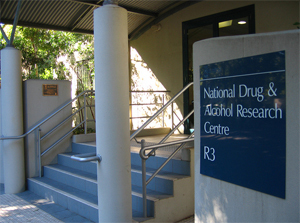 The National Drug and Alcohol Research Centre (NDARC) is a premier research institution in Sydney, Australia and is recognised internationally as a Research Centre of Excellence. The Centre was established at the University of New South Wales (UNSW) in May 1986 and officially opened in November 1987. It is funded by the Australian Government as part of its National Drug Strategy. The overall mission of NDARC is to conduct and disseminate high quality research and related activities that increases the effectiveness of treatment and other intervention responses to alcohol and other drug related harm. 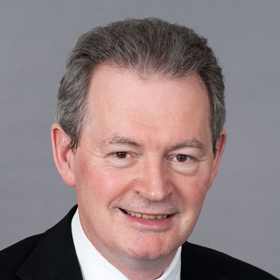 Those who suffer the harms for which the treatments are intended should be made aware of ways in which to minimise harm, and of the availability of effective forms of treatment. To increase the community's knowledge of appropriate and effective treatment and other intervention programs for alcohol and drug-related problems. This is a living document that will be monitored and regularly reviewed. It reflects the needs and expectations conveyed to us by our staff and stakeholders, including our funders, and aims to guide the activities of the NDARC over the next five years.